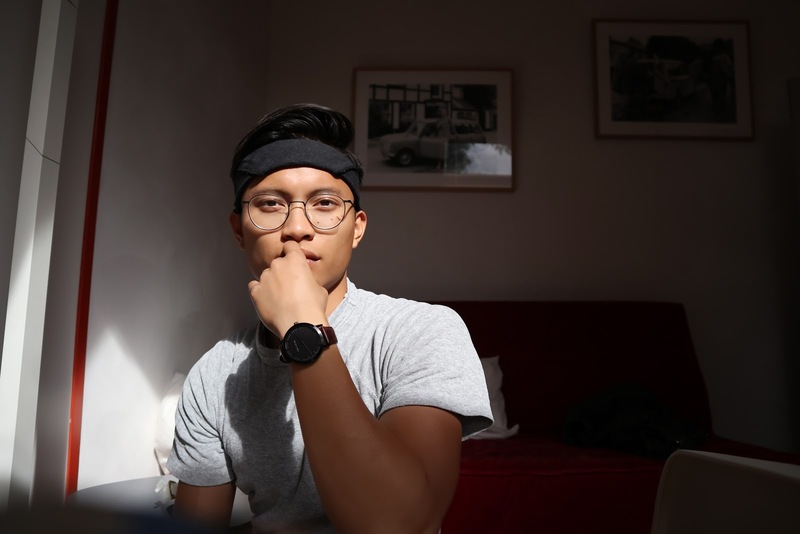 22 year old Lance Bosch, a beloved AUCSA president and valued UCSRN advisory board member, gives an authentic view on his college experience and transition to studying Neuroscience and Cognition at Utrecht Universiteit. Have a read to get an insight into his life post a Liberal Arts & Sciences education and his involvement in the University College community. To start off, could you briefly introduce yourself? Sure. Hello, I’m Lance Bosch; I am 22 and graduated from Amsterdam University College (AUC). My mum is from the Philippines, dad is Dutch, and I spent my childhood in the Philippines, Thailand, and Australia. I first decided to come to the Netherlands for uni to see “the Fatherland” – I ended up loving it and decided to continue in the Netherlands. I’ve just entered the second year of my master’s program – Neuroscience and Cognition – at Utrecht University. Later I’ll be pursuing a PhD, but I’m not looking too far ahead just yet. I’ll see where the science takes me. What do you value the most from the Liberal Arts and Sciences (LAS) education? Whatever it is you want to study is your choice; do you want to be the kind of person who takes every class available in one field, or do you see your future self as more of a jack-of-all-trades kind of person? If you are so inclined, you have a unique opportunity to merge your interests and that’s a wonderful thing. Way more interesting than being told what to take and when to take it, I’d say. The small class sizes and discussion based learning was, looking back, the other thing that really stands out. When I met other master’s students—and, indeed, the same can be said of some PhD students—I realized how soft skills like being an engaging presenter and being confident enough to share your ideas in front of your peers are specifically developed in this environment. I’m really glad to have spent my bachelor’s at a UC. What sets LAS apart is the ownership of your educational experience. Besides academics, you were very involved in the community of AUC – could you elaborate on this experience? Well, I was definitely that girl in high school who signed up to be a part of everything and anything, so I guess it was natural that I’d do the same at AUC. Originally, I thought I’d be exploring the outside of the bubble more, but it is—as anyone who’s been in the bubble knows—really easy to stay within your comfort zone. I started off by attending a bunch of events, then contributing more directly by joining boards, and ultimately I ended up in the student association, AUCSA. That last step was more of a thank-you-move than anything else: I saw how good it was for my own personal and professional development to be involved in all this, and I wanted to do what I could to allow others to have this experience too. Seeing first years with all the hope in their eyes come in, enter this little world, and watching them discover new parts of themselves? Damn. That would make anyone get involved. How did being a president of the AUCSA (Amsterdam University College Student Association affect your studies? The thing with student associations is that they are never good enough; there’s always something that could be done better, something new to start up, something that needs to get fixed last minute. For someone who gets obsessive with their work, it was perfect for me, but I know it’s not for everyone. It can really consume you if you let it, and you can end up forgetting that you’re at AUC to be a student. People really depend on you when you decide to do this, and I think that feeling of being needed made it almost too easy for me to prioritize AUCSA over whatever else I had to do. I wouldn’t say it damaged my academic performance from an “on paper” perspective, but I could feel the difference. I wouldn’t change anything though, and if given the choice again, I’d sign up for it in a heartbeat. It was an important experience. Personally, what do you think helped you grow more – the involved community aspect of UCs, the unique LAS education or was it something else? It’s such a cheesy answer, but it really is a combination of everything. Living on campus forces you to learn how to be a decent human being (hopefully) in this 3 year microcosm-of-the-wider-world training period. The other thing I’d say is the types of people you run into at a UC is not anything like you’d run into in another bachelor’s program, at least from what I’ve seen in the Netherlands. Even as I say this and believe it, I know that’s such a cheesy answer. Guess that’s why the management of AUC liked inviting me to speak at Open Days. Being a master student, how was the transition from an LAS education to a Master program? Smooooooth. I have to say though, experiences may differ. The application process tends to be a tough point for a lot of people transitioning, but I never really got that. I had to give a speech for prospective UC students applying to UU, and I said the same thing: stop thinking about what you lack because you went to a UC, and start thinking about everything you have that your peers don’t. If you’re not convinced you deserve to be in a program, how will the admissions office be? Sell it, damn. Feel free to reuse some of the things I’ve gushed about earlier for your application if you want. If you could give one advice to a current LAS student – what would it be? Do your damn reading. Do the r e a d i n g. Especially if you decide to move forward in academia, you’re going to find yourself working insane(ly rewarding) hours, and you’re really going to have to make time to read and keep in touch with the rest of the research world. I laugh when I think that my main job at AUC was to read a handful of things and I didn’t even do it all the time. Still, I had to do what I did to be where I am I guess. In the future, where do you see the LAS education going? Oh, UCs are going to blow up. For sure. How we’re moving culturally, where everyone exercises their ability to express themselves online (whether it adds value to the discussion or not) it feels very natural for this discussion based learning to become trendy amongst the new generation of parents. Whether future employers will see LAS education as valuable will depend on how current students and alumni, again, sell it. But with all the absolute geniuses I’ve met from UCs, I’m pretty confident we’ll be just fine. What is your favourite memory of attending AUC? I remember that whole period of my life with pretty rose-tinted glasses, so there isn’t a particular memory that comes to mind. To conclude, please describe your bachelor’s experience at AUC in three words.